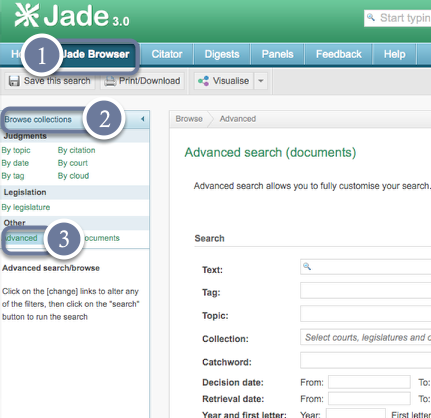 Advanced Searching in JADE allows you to customise your search and refine your search results. Advanced searching is very easy to use and you do not need to be logged in to use the Advanced search function. How do I start an advanced search? 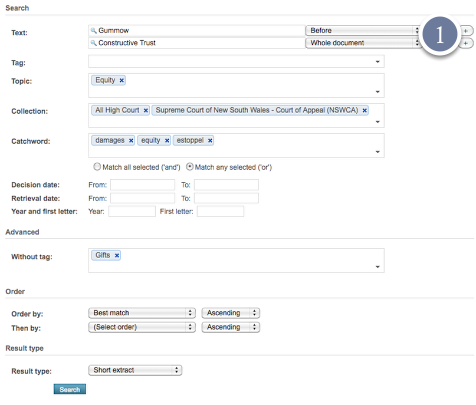 Fill in text and customise using the drop down list. 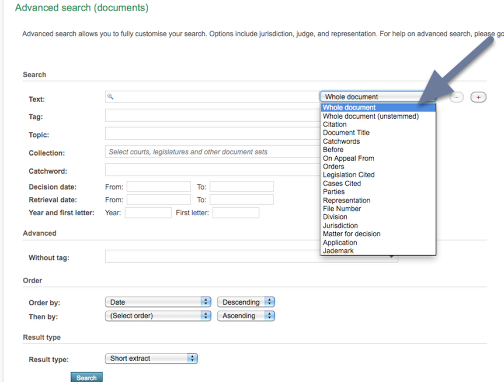 You can also customise your search through tag, topic, collection, catchword and decision date, and order your search results. 1. Add more search terms by clicking here. 2. Add multiple tags, topics, collections, catchwords etc. to further refine your search. If you have started with a general search, selecting “Show all filters” will take you to the advanced search option where you can further refine your results.